Ninety Nine Catering provide comprehensive solutions for premium events across the UK. We understand that when planning a large event finding a suitably experienced caterer can be a difficult task. Our extensive experience in the market allows us to support and advise our clients on large scale and premier events alike. We offer creative options in addition to more conventional catering. 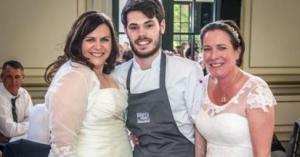 Josh Angell and his team are everything and more anyone could wish for to catering for their special event.